Days before the elections in Brazil, a young Brazilian approached me and said, “God willing, Bolsonaro to win. He is a military man and will end corruption.” I did not want to answer. I esteem this boy as a good person, maybe too young to be anything else. But these two brief sentences summed up several volumes of Latin American history to its present. Beginning with the obvious: if there were governments and corrupt regimes on the continent, those were the military regimes. First, because every dictatorship is corrupt by definition, and second, because direct robberies were always massive, by denouncing the disappearances, then only to reappear by floating in a river with evidence of torture. It would suffice to mention the most recent investigation into the fortune of General Pinochet, a military leader who accumulated several million dollars in salary as an unelected president, without mention of such details as the thousands killed and many more persecuted during his rule. There were shams of decorated honors for assuming “moral reserve” and for the “bastion of courage” by owning weapons financed by the people’s work, only to later be threatened by their own armies in “bringing order,” by garrison and cemeteries. That same barbaric culture of innumerable generals, soldiers, and scoundrels boasting to be “macho” and valiant fighters, never won or went to any war against other armies, but dedicated themselves to serving the rural oligarchy by terrorizing and threatening their own people. In the coining of a neologism, millions of thugs are now hidden within their new condition of digital cowangry. This military mentality applied to civil practice and domestic life (deviates from any raison d’être of an army) is a Latin American tradition born prior to the Cold War and long before the new republics were born and consolidated with corruption, deep in hypocritical racism. This is especially true in Brazil, the last country in the continent to abolish slavery. Even Captain Bolsonaro’s vice presidential candidate, General Mourão, a mulatto man like most of his compatriots, is pleased that his grandson contributes to the “branqueamento da raça (whitening of the race).” Have any of us ever crossed paths with this kind of deep racial and social disregard for 90 percent of their own family? The same historical problems permeate in other regions that stand out for their brutality in Central America and the Caribbean. The second, and less obvious, is the appeal to God. In the same way that the United States replaced Great Britain in its consolidation of Spanish colonial verticality, the Protestant churches did the same with those ultraconservative societies (limitless landowners and silent masses of obedient poor), which had been shaped by the previous hierarchy of the Catholic church. It took some Protestant sects like the Pentecostals and others at least a century more than the dollar and the cannons. The phenomenon probably started in the Sixties and Seventies: those innocent, presumably apolitical, gentlemen, who went door to door talking about God, should have a clear political translation. The paradoxical effect of Christian love (that radical love of Jesus, a rebel who was surrounded by poor and marginal people of all kinds, who did not believe in the chances of the rich reaching heaven, and did not recommend taking the sword but turning the other cheek, who broke several biblical laws such as the obligation to kill adulteresses with stones, who was executed as a political criminal) ended up leading to the hatred of gays and the poor, in the desire to fix everything with shots. 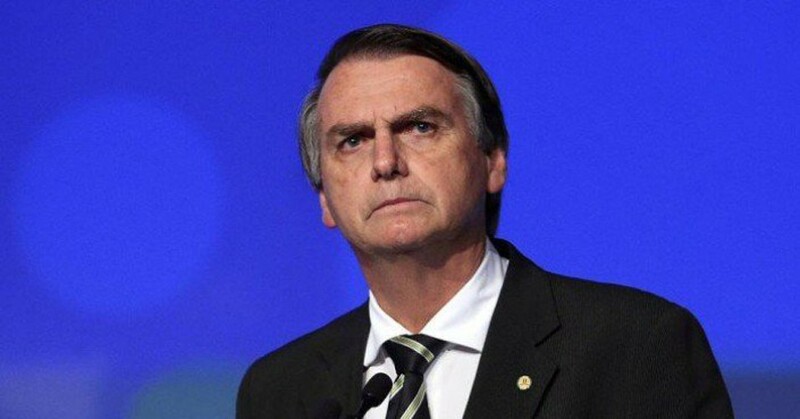 Such is the case of medieval candidates like Captain Jair Messias Bolsonaro and many others throughout Latin America, who are supported by a strong and decisive evangelical vote. 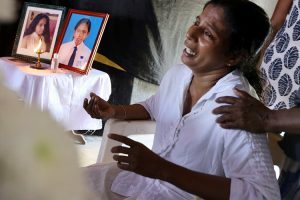 These people in a trance are watered in sweat and hysterical cries and say they “speak in tongues,” but just speak their disjointed language of political and social hatred in blind fanaticism that God prefers them with a gun in their hands rather than peaceably fighting for justice, respect for the different, and against arbitrary powers. In the midst of the euphoric golden decade of progressive governments, such as Lula’s, we note two mistakes: naive optimism and the dangers of corruption, and the ramifications of a domino effect because corruption was not a creation of any government, but instead a mark of identity of the Brazilian culture. To name just one more case, this is also the state of affairs in neighboring Argentina. We must add to all this that the traditional social narrators of a more rancid and powerful Latin America can be found in Maduro’s Venezuela where the equally pathetic opposition is never mentioned. As the example, this is the perfect excuse to continue terrorizing about something that almost all the countries of the continent have lived with since the colony: poverty, economic crises, dispossession, impunity, civil and military violence. So it is Venezuela that is exemplifying Brazilian propaganda and not the Brazil of Lula that took 30 million out of poverty, the one with super entrepreneurs, the one of “Deus é brasileiro (God is Brazilian),” the Brazil that was going away to eat the world and had passed the GDP of U.K.
For the second round in Brazil, the coalition against Bolsonaro has already launched the slogan: “Juntos pelo Brasil do diálogo e do respeito (Together for Brazil for dialogue and respect).” This motto only goes to show that those who oppose Bolsonaro in Brazil, like those who oppose Trump in the United States, do not understand the new cowangry mentality. The cowangry need to know that there is someone else (not them) who is going to return women to the kitchens, gays to their closets, blacks to work on the plantations, and poor to the industries, that someone is going to throw a bomb in some favela (“dead the dog, dead to the rage”). Someone will torture all who think differently (especially poor blacks, teachers, journalists, feminists, critics, educated people without titles, and other dangerous subversives with foreign ideas, all in the name of God) and in that way, someone will punish and exterminate all those miserable people solely responsible for the personal frustrations of the cowangry.